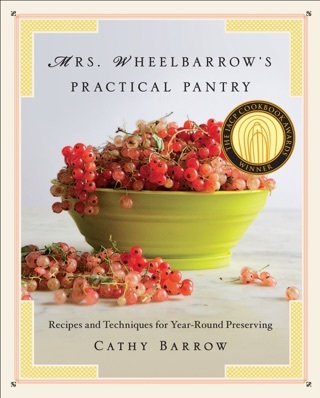 Barrow (Mrs. Wheelbarrow's Practical Pantry) devotes an entire, glorious book to the subject of slab pies, which are made in a half-sheet pan. 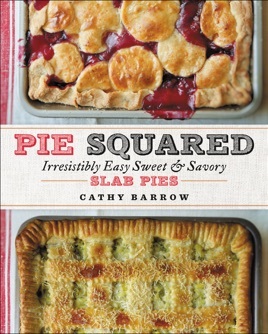 Barrow pushes the buttery, crusty envelope with her tempting recipes both savory and sweet options for every meal of the day, whether it's breakfast (Good Morning Cheese Danish Slab Pie); lunch (a reuben slab pie with rye crust); dinner (Moroccan shepherd's pie); or dessert (a banana pudding pie with vanilla wafer crust). 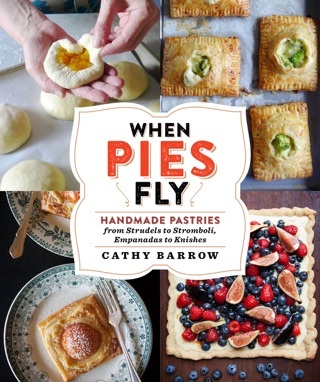 Barrow innovates with each recipe, whether it's carbonara and zucchini-noodle slab pie; blackberry, sweet corn, and basil pie; or one with raspberry and rugelach. Creative recipes can feed crowds at the holidays, too, such as After-Thanksgiving Turkey Slab Pie and Christmas in London (a kind of French-Canadian tourti re). There are nontraditional pie crusts options as well, such as smoked fish with a caramelized onion crust, eggs florentine in a hash brown crust; and fried green tomatoes with a Ritz cracker crust. The most challenging part of this fun and inviting cookbook will be choosing which recipe to make first.